New research reveals that the highest rates of depression are seen in individuals with autism who have above average intelligence. This is different to the general population, where lower intelligence is linked to higher rates of depression. Nearly half of adults with autism will experience clinical depression in their lifetime, according to our new research published in the Journal of Abnormal Child Psychology. Depression can have devastating consequences for individuals with autism, including a loss of previously learned skills, greater difficulty carrying out everyday tasks, and at worst, suicide. People with autism should be regularly screened for depression so that they can access appropriate treatment. Autism is a disorder that involves difficulties with social interactions and restricted repetitive patterns of behaviours. Autism also raises risk for severe mental illness. Until now, researchers and clinicians did not know how many individuals with autism were affected by depression. Our study, which involved a systematic review of nearly 8,000 research articles, now reveals clear evidence that depression is highly prevalent in both children and adults with autism. It also reveals that depression is more common in individuals with autism who have higher intelligence. Clinical depression is defined in the Diagnostic and Statistical Manual of Mental Disorders by a longstanding pattern of negative mood. Additional symptoms include loss of interest in activities, physiological changes (e.g. sleep, appetite, or energy disturbance), cognitive changes (e.g. feelings of worthlessness, difficulties with attention) and suicidal thoughts or actions. 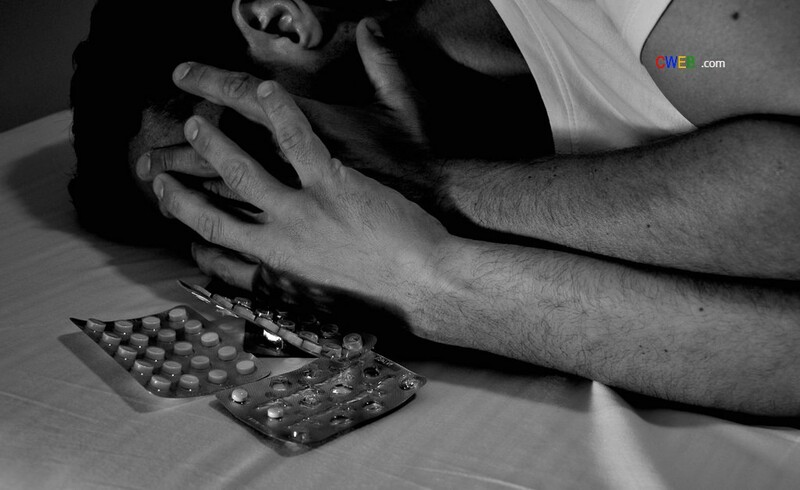 In the general population, clinical depression is the leading cause of disability worldwide. Depression in autism is defined by these same criteria, but the symptoms can be challenging to detect. Individuals with autism often have trouble identifying and communicating their feelings. Clinicians may have to rely on observed behaviour changes, or the reports of others close to the individual to make a diagnosis. Clinicians also have to be particularly careful that they do not confuse the symptoms of depression with the symptoms of autism. For example, people with autism and people with depression have difficulties with social relationships. The key difference between these groups is why they experience these problems. People with autism often lack the social skills necessary to engage with others. In contrast, people with depression often withdraw from others because they lose the ability to find pleasure in their social interactions. We found that the highest rates of depression are seen in individuals with autism who have above average intelligence. This finding is in contrast to the general population, where lower intelligence is associated with higher rates of depression. Our study also revealed that depression is more commonly diagnosed when clinicians ask the person with autism directly about their symptoms, rather than asking a caregiver. While this study did not look into why higher intelligence was associated with higher depression rates in autism, we can make some guesses. On the one hand, it could be that individuals with autism who have above average intelligence are more aware of the social difficulties associated with their autism diagnosis, and this awareness leads to higher rates of depression. On the other hand, it could be that individuals with below average intelligence have difficulties communicating their symptoms, making it difficult to diagnose depression in this subgroup. We also learned that how studies assessed depression influenced the rates of depression. Rates were highest among studies that used standardized structured interviews to assess depression, compared to studies that used less formal assessment methods. It is possible that structured interviews may be picking up on symptoms that other assessment methods are missing. At the same time, structured interviews may bias the prevalence of depression because these interviews were not designed for people with autism. Depression is also more common when clinicians ask the person with autism directly about their symptoms, rather than asking a caregiver. It is possible that individuals with autism are experiencing depressive symptoms that their caregivers are missing. It is also possible that studies used a caregiver when participants were not able to report on their own symptoms (for example because of low intelligence). Depression is more widespread in people with autism than we previously thought. This important research will hopefully prompt clinicians to include an assessment of depression in their routine clinical practice with people with autism. This assessment will ensure that people with autism are receiving appropriate treatment.